For those seeking masterpieces of art, Los Angeles is a must-see destination filled with cultural treasures from around the world. 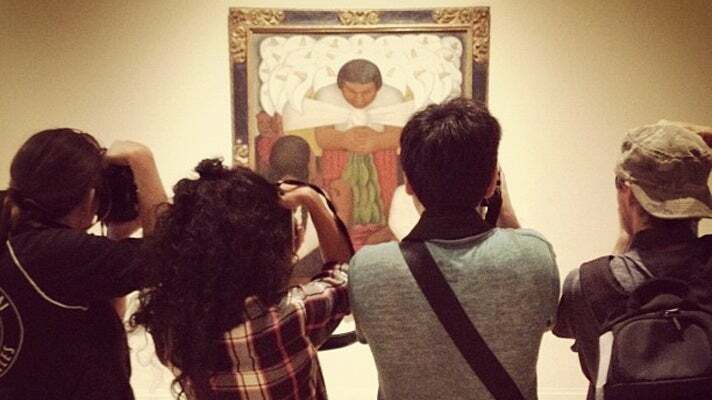 Many of these iconic works are unexpectedly in Los Angeles, from Van Gogh’s Irises and Diego Rivera’s Flower Day to The Thinker and The Blue Boy. Please note, paintings may occasionally be rotated out of public viewing or loaned to other museums. 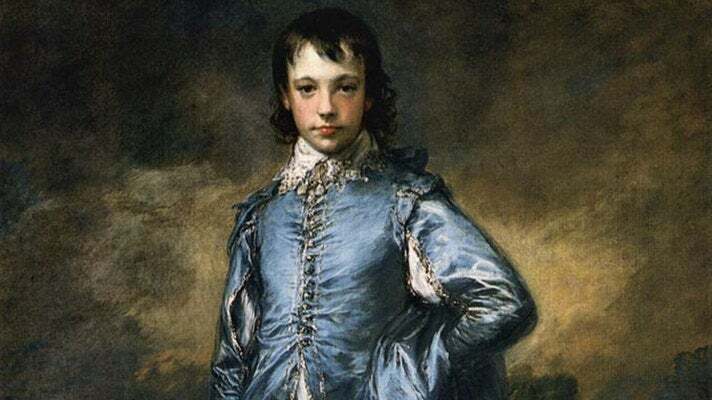 The best known painting at The Huntington Library, Art Collections & Botanical Gardens is Thomas Gainsborough’s The Blue Boy (c. 1770). The portrait is of Jonathan Buttall, the son of a successful hardware merchant who was a close friend of the artist. 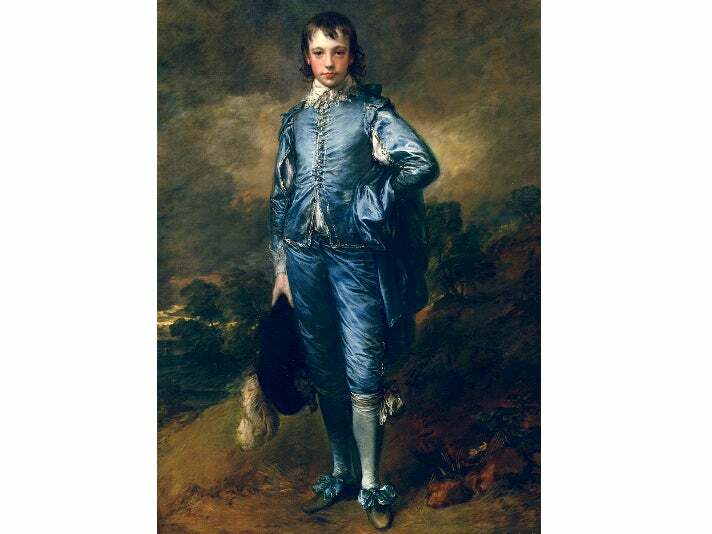 Gainsborough dressed his young subject in a costume dating from about 140 years before the portrait was painted, perhaps as an homage to the Flemish master, Anthony van Dyck. To the dismay of the British public, The Blue Boy was sold to American railroad magnate Henry E. Huntington in 1921 for a then-record price of $728,800. Before it left for California, The Blue Boy was briefly put on public display at the National Gallery in London, where it was seen by an estimated 90,000 people. Beginning Sept. 22, “Project Blue Boy” offers visitors a glimpse into the technical processes of a senior conservator working on the famous painting as well as background on its history, mysteries, and artistic virtues. For the first three to four months during the year-long exhibition, The Blue Boy will be in the gallery as Christina O’Connell, The Huntington’s senior paintings conservator, works on the painting to perform examination and analysis, as well as begin paint stabilization, surface cleaning, and removal of non-original varnish and overpaint. The painting then will go off view for another three to four months while she performs structural work on the canvas and applies varnish with equipment that can’t be moved to the gallery space. Once structural work is complete, The Blue Boy will return to the gallery where visitors can witness the inpainting process until the close of the exhibition. Nearly as famous as The Blue Boy is Thomas Lawrence’s portrait, Pinkie, on prominent display in the same gallery. Taken together, these two paintings became so popular and famous that parents around the world began dressing their baby boys in blue and baby girls in pink ever after. 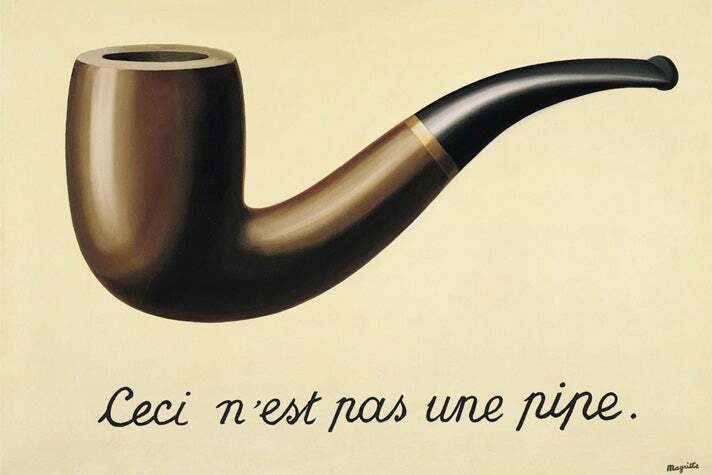 The Treachery of Images (This is not a pipe) (La trahision des images [Ceci n'est pas une pipe]) was painted in 1929 by the Belgian artist René Magritte, when the artist was 30 years old. The Treachery of Images is a masterpiece of Surrealism and an icon of modern art. The Treachery of Images belongs to a series of word-image paintings by Magritte from the late 1920s, which contemplated the impossibility of reconciling words, images and objects. In The Treachery of Images, Magritte challenges the conventional notion of identifying an image of something as the thing itself. The painting causes the viewer to ponder its conflicting messages and perhaps even question reality. Magritte's use of text in his word-image paintings influenced a younger generation of artists, including Jasper Johns, Roy Lichtenstein, Robert Rauschenberg, Edward Ruscha and Andy Warhol. In 1889, Vincent van Gogh checked himself into an asylum in Saint-Rémy, France, where he created almost 130 paintings in the final year of his life. 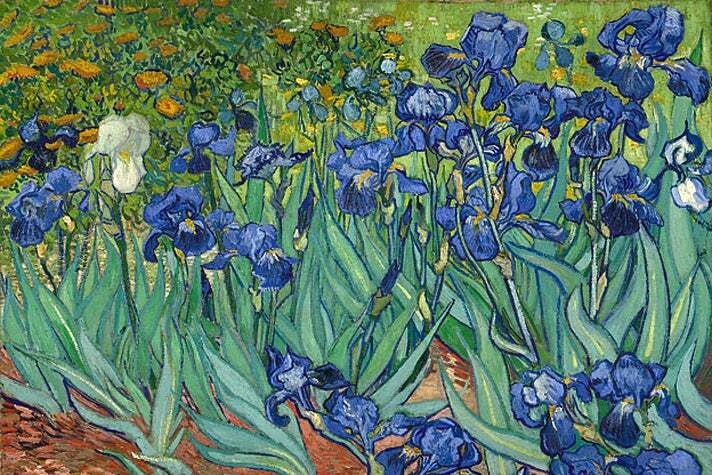 Within his first week at the asylum, van Gogh began working on Irises, painting from nature in the garden. The influence of Japanese woodblock prints can be seen in the composition, with strong outlines, close-up views, flat colors and overflowing irises. Each one of Van Gogh's irises is unique; he carefully studied their movements and shapes to create a variety of curved silhouettes bordered by wavy, curling lines. The painting's first owner was French art critic Octave Mirbeau, who paid 300 francs for it. In 1987, Irises became the most expensive painting ever sold, setting a record which stood for two and a half years. It was acquired by the J. Paul Getty Museum in 1990 and is on display at the Getty Center in Brentwood. As of 2012, Irises ranked tenth on the inflation-adjusted list of most expensive paintings ever sold. 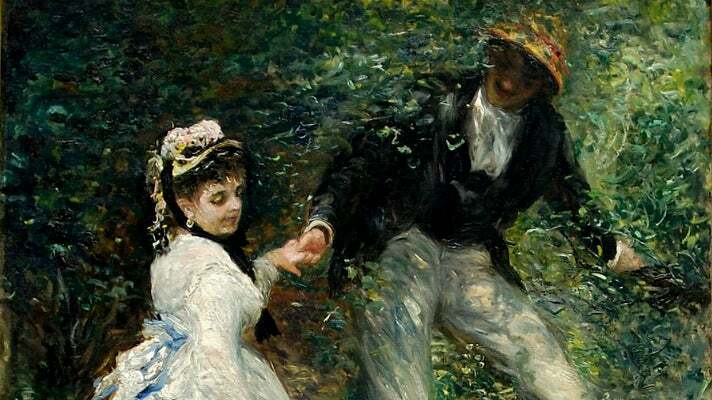 One of Pierre-Auguste Renoir’s most beloved paintings, La Promenade, is also exhibited in the same room as van Gogh’s Irises at the Getty Center. Renoir, together with Claude Monet, was one of the founders of Impressionism, which freed artists from having to tell a story in their paintings and let them simply capture what they saw. Painted in 1870, La Promenade depicts a middle class Parisian couple glimpsed fleetingly in a natural setting instead of a studio backdrop. Renoir’s use of sunlight as it's filtered through the foliage would become one of his trademarks. Also located in the same extraordinary room as Irises and Promenade are iconic Impressionist works from Claude Monet’s Water Lilies, Rouen Cathedral and Le Havre Harbor series of studies. Monet's Impression: Sunrise from Le Havre Harbor gave Impressionism its name. 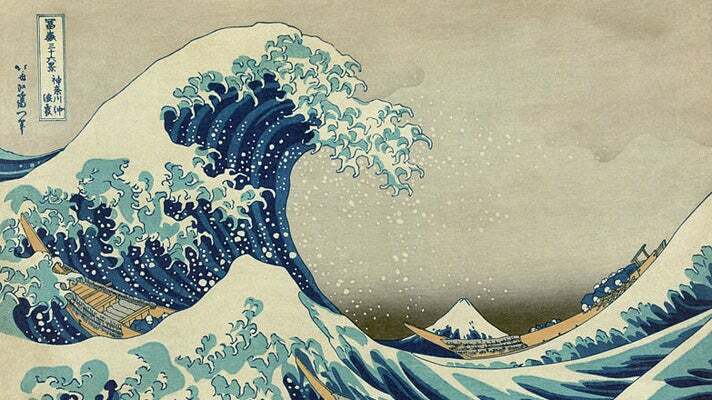 The Great Wave off Kanagawa (1831-1833) is a woodblock print by the Japanese artist Katsushika Hokusai. It was published as the first in Hokusai's series of prints, Thirty-six Views of Mount Fuji. The Great Wave off Kanagawa is Hokusai’s most famous work and one of the most recognized works of Japanese art in the world. The print depicts a huge wave (okinami, not a tsunami as sometimes mistakenly labeled) looming over boats near Kanagawa prefecture, with Mount Fuji in the distance. Copies of the print are in renowned Western collections such as the Metropolitan Museum of Art in New York City, the British Museum in London and The Art Institute of Chicago. In Los Angeles, The Great Wave off Kanagawa is in the collection of the UCLA Grunwald Center for the Graphic Arts, located on the upper level of the Hammer Museum in Westwood. The Grunwald Center is open by appointment only to UCLA students, faculty, and the public. Please call 310.443.7078 to schedule a visit. Dr. Samuel-Jean Pozzi was a renowned French surgeon and “the father of French gynecology,” a Renaissance man who was also a soldier, politician and art collector. His friend John Singer Sargent was an American artist who had garnered international acclaim for his fine art portraits. Dr. Pozzi at Home (1881) is one of Sargent’s best known works, a life-size portrait of the handsome doctor and notorious womanizer. 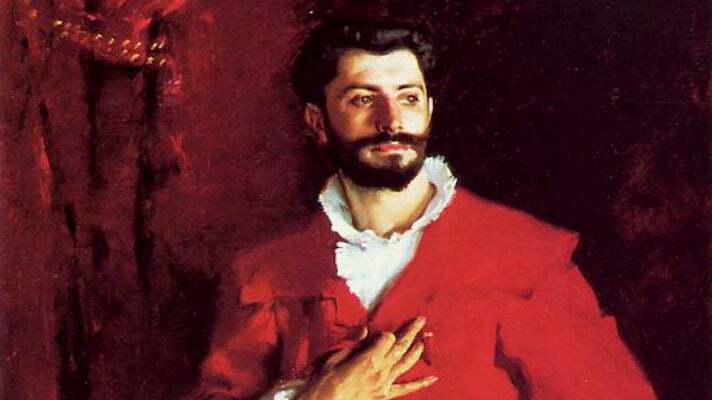 Unlike the black frock a 19th-century physician would typically wear in a portrait, Dr. Pozzi is vividly depicted wearing a seductive, blood-red dressing gown as he stands in front of crimson drapes. Dr. Pozzi at Home was purchased from Pozzi’s son in 1967 by Armand Hammer for his private collection, and subsequently went on public display at the Hammer Museum in 1991. Based on Madame Moitessier by the French Neoclassical painter Jean-Auguste-Dominique Ingres, Woman with a Book is a dreamlike portrait painted in 1932 by Pablo Picasso. Woman with a Book is on view at the Norton Simon Museum in Pasadena. Picasso’s model was Marie-Thérèse Walter, his mistress at the time. Picasso met the much younger Walter by chance outside a Paris department store, when he supposedly said to her, “You have an interesting face. I would like to do a portrait of you. I am Picasso.” The rest is modern art history. 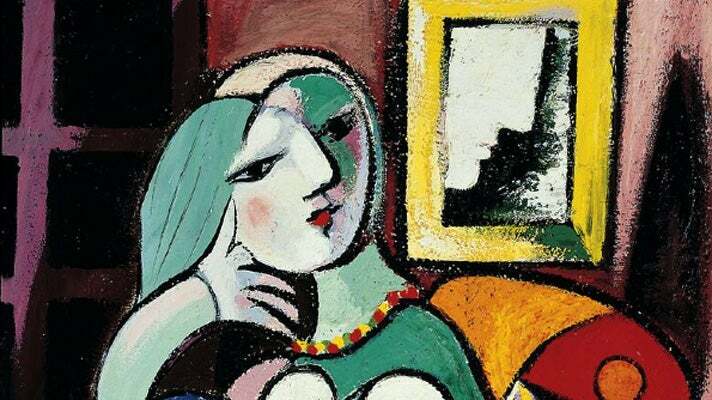 Walter inspired Picasso to create countless paintings, sculptures, drawings and prints. In Woman with a Book, Walter looks up from her book and daydreams while her image is reflected in the mirror behind her. The Thinker (Le Penseur) is an iconic bronze sculpture on a marble pedestal created by the French sculptor Auguste Rodin. 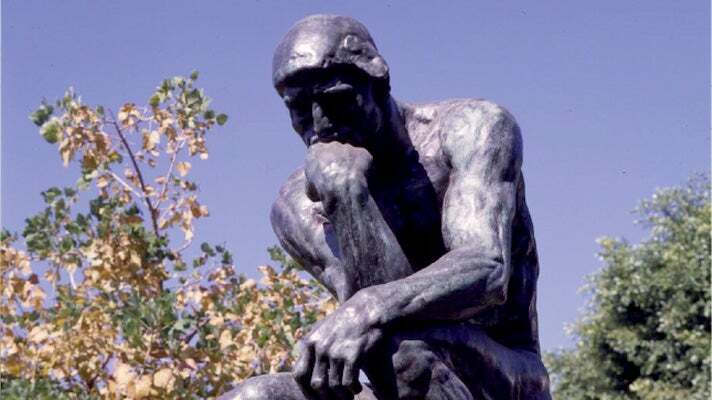 First cast in 1902, The Thinker depicts a man in deep meditation, and is often used to represent philosophy. The figure's knitted brow and clenched fists indicate that he is battling with a powerful internal struggle. Original, monumental-sized casts of The Thinker are exhibited around the world. Cast No. 11 is at the Norton Simon Museum. One of the greatest statues of ancient Rome is on display at the Getty Villa in Malibu. 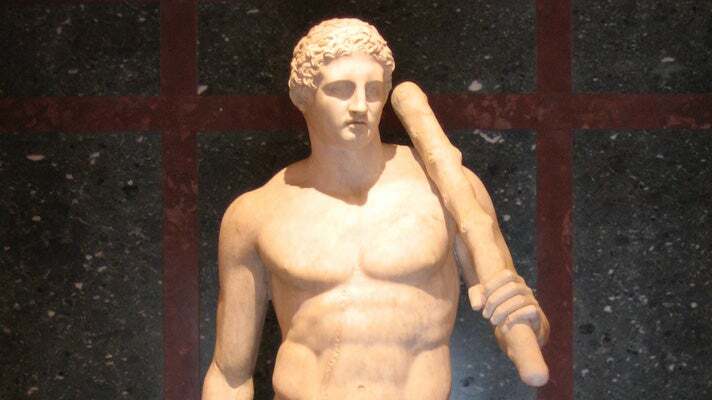 Dating to around 125 CE, the Lansdowne Herakles portrays the Greek hero with a club over his left shoulder and the skin of the mythic Nemean Lion in his right hand. Found near the ruins of the villa of the Roman emperor Hadrian at Tivoli outside Rome, the Lansdowne Herakles was probably inspired by a lost Greek statue. The Lansdowne Herakles was one of many copies of Greek sculpture commissioned by Hadrian, who loved Greek culture. The statue was named for Lord Lansdowne, who once owned the Herakles and displayed it in his home in London.